Europa Systems Research & Development Centre is already open! 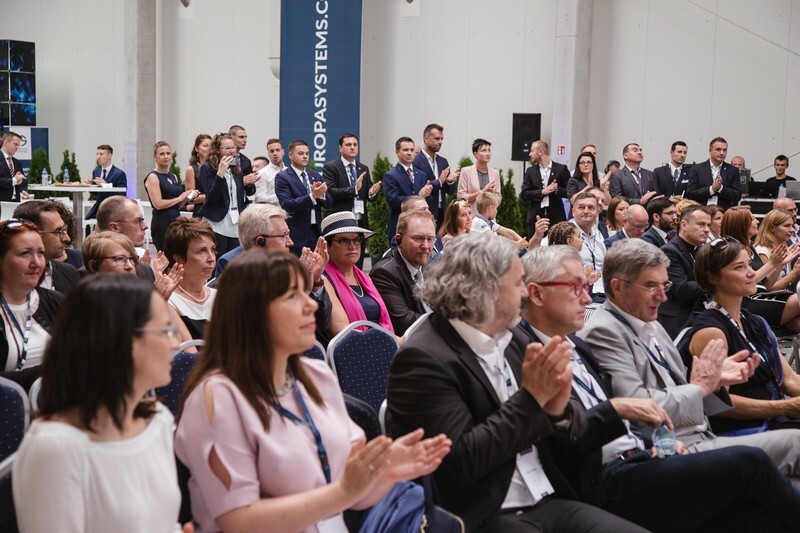 On August the 5th, in the presence of 150 fine guests hailing from all over Poland and Europe, we had the pleasure to officially launch Europa Systems R&D Centre. On the Innovation Day we presented to our guests the most advanced intralogistic solutions, and during the evening business meeting held onboard of the world’s largest sail ship we discussed how process automation allows companies – putting it metaphorically - to catch wind in their sails. A total of 200 Polish engineers is going to work in the new Research & Development Centre and Europa Systems. We expect that within 5 years the number will reach 300 people. 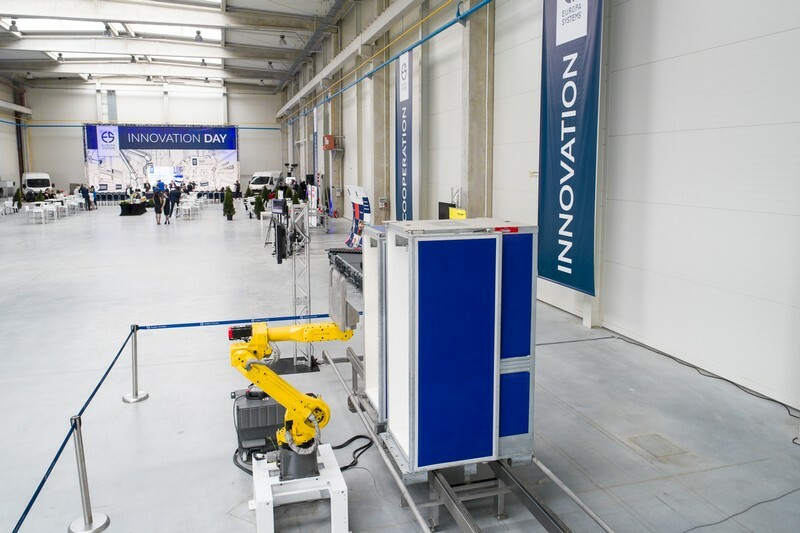 The R&D Centre boasts an over 2100-square meter space dedicated to the solving of intralogistic solutions European companies face in their business operations. Already at the present time our portfolio, being the result of twenty-year-long experience, contains projects implemented in more than 35 countries. The launching of the R&D Centre marks another strategic milestone in our growth journey. 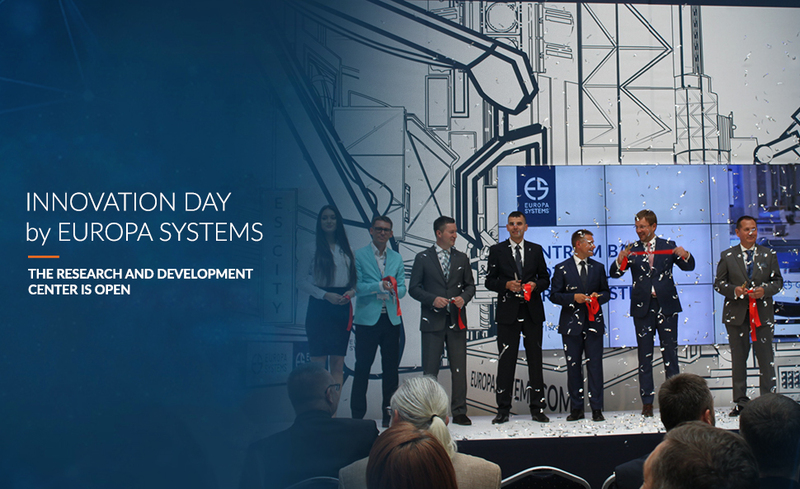 Thanks to the commitment of numerous people, over a relatively short period of time, we have succeeded in creating a R&D space which can be used by Polish engineers to further progress in logistics and set new trends in intralogistics – said Michał Kaźmierczak, CEO Europa Systems, during the official opening. Launching of the Research & Development Centre is a very special day, and we are very glad to be able to celebrate it in such an exquisite company of 150 guests from Poland and other European countries. Let me congratulate the company and wish many successes in the future – added Tomasz Modzelewski, Chairman of the Management Board of PAGED SA. Szczecin and the West-Pomeranian region are becoming a world class logistics hub. The presence of such companies as Europa Systems, Zalando or Amazon in the region are a good proof that our competitive advantage is continuously growing – emphasized Michał Przepiera, Vice-Mayor of the City of Szczecin. The R&D Centre has received funds from the Polish National Research and Development Centre. It is particularly worth noting that Europa Systems managed to outrun such brands as Solaris or Asseco when competing for R&D project grants. The overall value of the R&D projects is 13 mln PLN, out of which 5 mln PLN comes from grants. Ultimately, apart from the production hall, the R&D Centre will host modern office space, machine park and technical facilities. This year’s plan foresees the setting up of the company’s own dedicated R&D unit which will closely collaborate with the West-Pomeranian University of Technology in Szczecin and the Institute of Logistics and Warehousing in Poznan. Europa Systems, after the market success of ES Gear – automated self-propelled AGV truck, anticipates more bestselling products. First products designed and made in the new R&D Centre can be expected even this year. 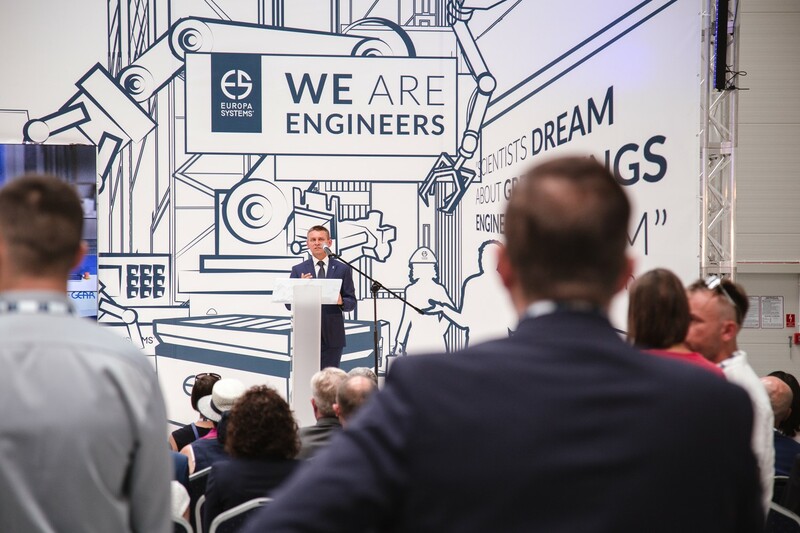 The launching of the R&D Centre is a significant event in the history of our company, and we felt honored to have the opportunity to celebrate it with so many respected guests from Poland and abroad. The companies that accepted our invitation included: CIMCORP, FlexLink, Brigdestone, Carlsberg, Europapier, Bakoma, as well as PAGED SA and other companies of the Holding. The peak of the Innovation Day was the evening onboard of the SEDOV, the world’s largest sail ship, during the Finale of the Tall Ship Races. From such a splendid viewpoint, our guests could enjoy Andrea Bocelli’s concert and an impressive firework show. See you at the next edition of the INNOVATION DAY! Europa Systems Team. See how “World class quality, made in Poland” is catching wind in its sails!